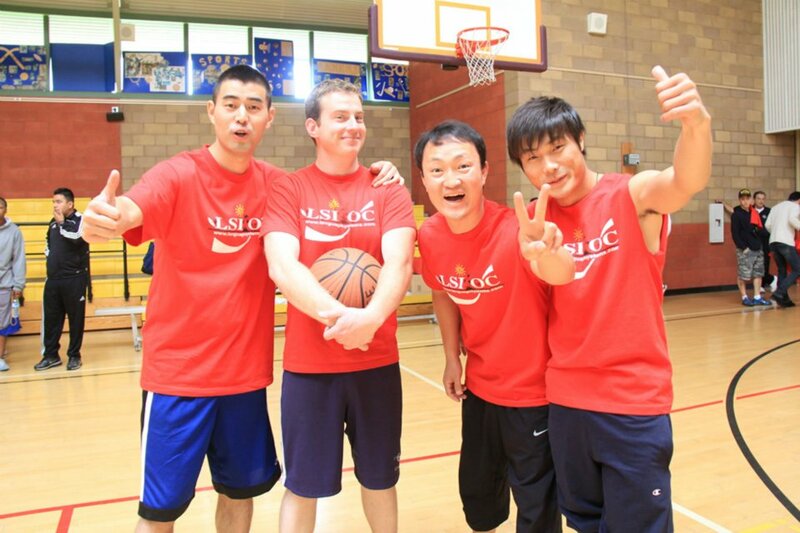 Language Systems International (LSI) had its second annual basketball tournament on Friday, March 2nd at Peck Park in San Pedro, California. 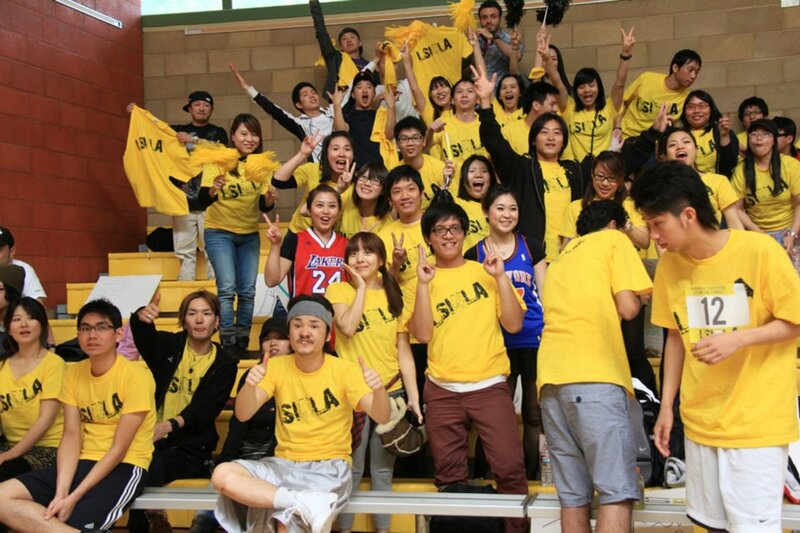 Teams from 4 campuses participated and a lot of fans from each school came along to cheer their teams on. Each school wore T-shirts from their school and most of the fans had signs and pom poms! Torrance and Alhambra had cheerleading squads and LA had yellow noisemakers (to match their T-shirts) that could be heard all over the gym! Before each game, the teams exchanged gifts that were chosen from each school's location. So, OC gave little basketball hoops to celebrate the tournament and Torrance gave little bottles and shells since that school is close to the beach. LA gave small little "Oscar" trophies (like the ones given in the Academy Awards) and Alhambra gave out bags of yummy taffy! 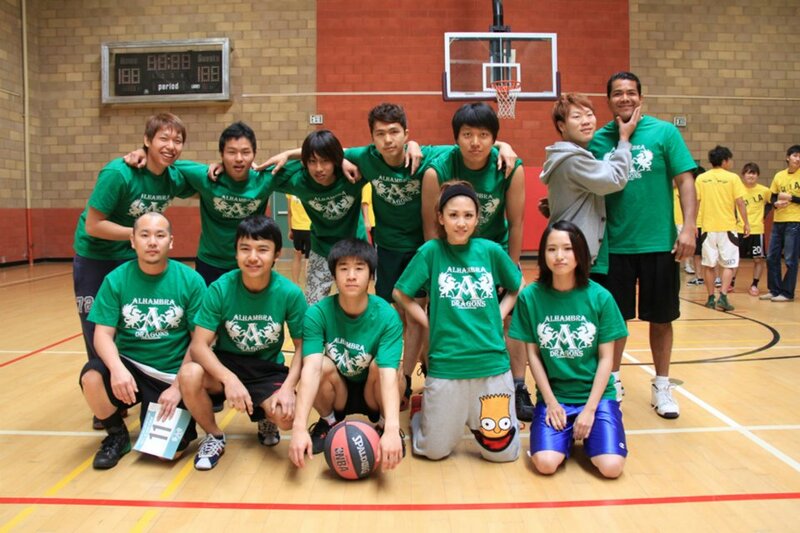 All the teams played really well and each game was fun and exciting! 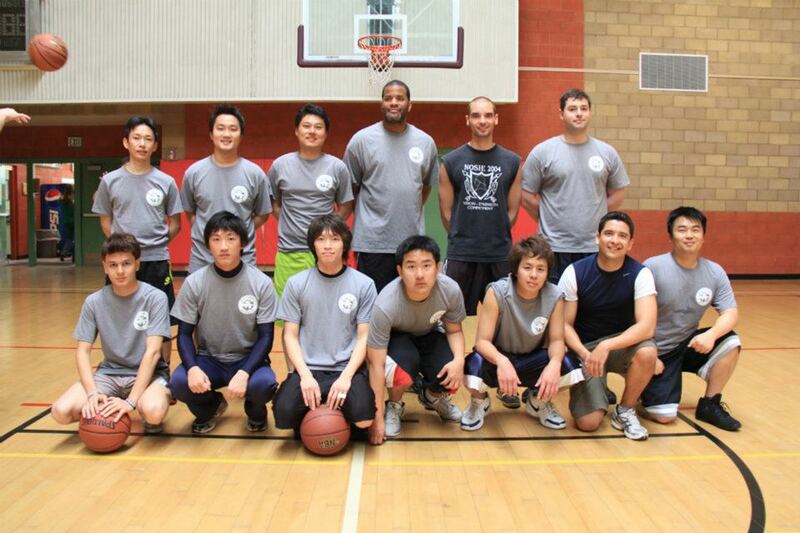 Finally it came down to the last two teams, Torrance and LA, playing for the championship. Even though it was close, Torrance won and the fans went crazy when the Torrance team held up the trophy. The Torrance fans kept yelling "who let the sharks out!" The shark is the Torrance mascot. 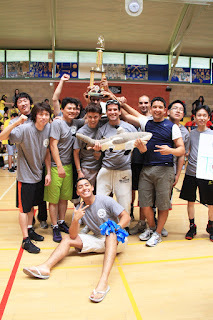 All the students and team members were good sports and congratulated each other on a great game. Afterwards, LSI had a pizza party and the students stayed for a while meeting people fromother schools and talking about the games. 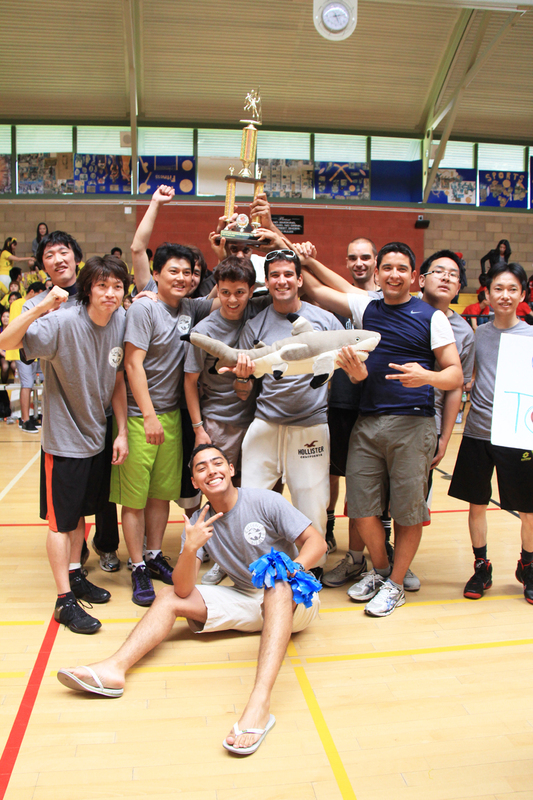 Everyone had a great time and we'll be sure to have another tournament next year!